Despite the sentiments of that classic Let it Snow, the weather outside hasn’t exactly been frightful. 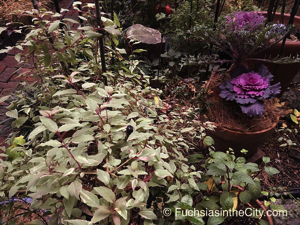 It’s been so un-frightful, in fact, that the potted fuchsias are still out there enjoying the extended cool but frost-free fall. All thanks to this year’s El Niño’s efforts at keeping the Evil Polar Vortex cooling its heels circling the North Pole instead of dropping down this way for unwelcome visits as it did last year. The garden’s admittedly sheltered by the City, and usually a couple of degrees warmer than the official reading from Central Park, but the lowest it’s dropped so far this year is 36 degrees fahrenheit (2-3° C). Monday was the winter solstice. So far it’s a cool, frost-free winter as well. The fifteen-day forecast doesn’t seem to be changing the weather’s habits much. 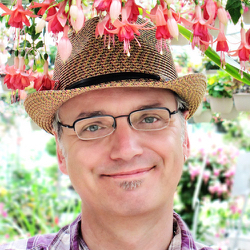 I’ve been ignoring the fact that eventually some of the potted fuchsias have to go. All right, at least half. There just isn’t enough room to store all the summer’s madness in a Manhattan apartment with neither a cellar nor a greenhouse. Also haven’t spread my usual fluffy duvets of pine straw around the hardy fuchsias to give them a few extra degrees of relief (and myself too, of course) in case the Evil Polar Vortex barges in and plunges things down unbearably like it did last year. Eventually the weird dream will fade away and things will return to some semblance of normal. 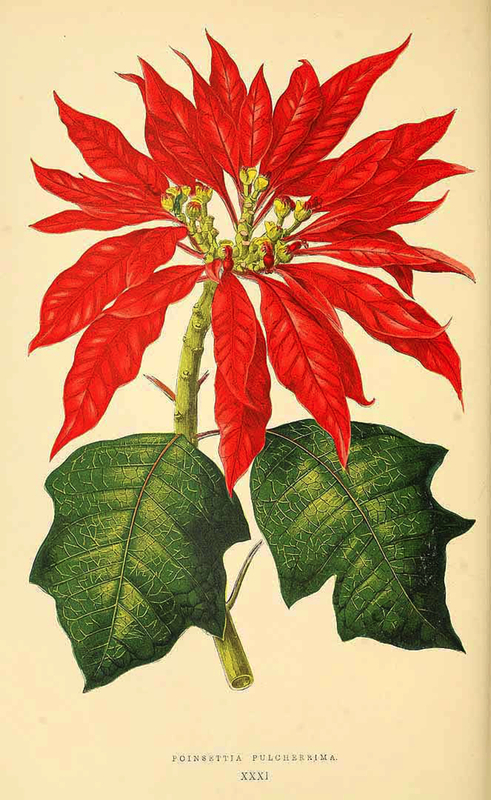 In the meantime, a very Merry Christmas and a Happy New Year!